Throughout the years we’ve planned, created and launched products enhancing the entrepreneur market in France. 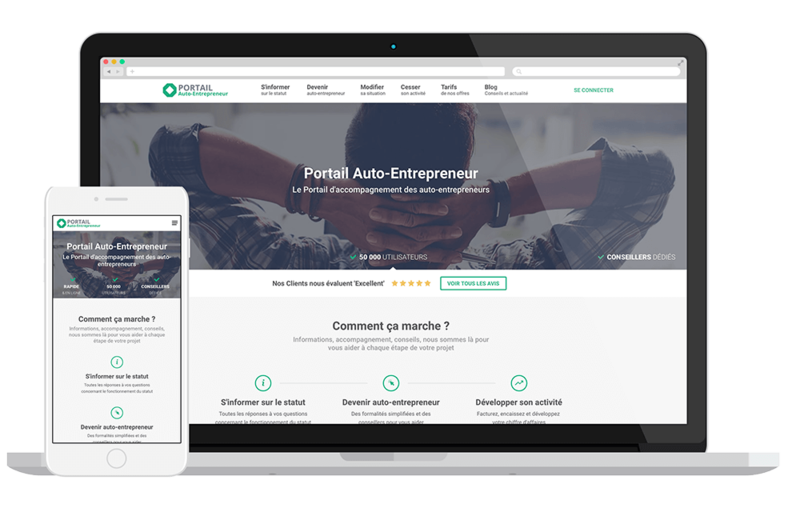 Leader in helping to create a self-organization, the Portal team guides and advises each self-entrepreneur to get rid of the administrative, and focuses on the development of his/her project. And because trust, human bond and reassurance are paramount when dare to start, all customers have their own advisor. The goal? That each person can move on quickly and serenly! 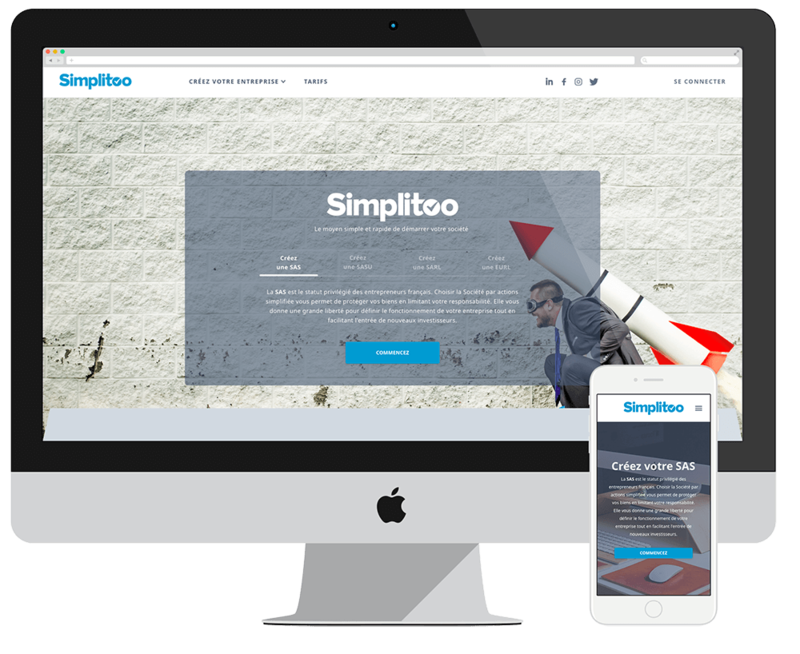 With the same vocation of accompaniment and simplification of business creation processes as the Portail Auto-Entrepreneur, but with a diferent scope, Simplitoo focuses on other legal statuses. The consultants are there to lighten the spirit of the entrepreneurs and manage from A to Z their launch of SARL, SAS, EI and EURL. Simplitoo is also an online tool for billing and tracking expenses to offer more and more service, peace of mind, and the key word... sim-pli-ci-ty!